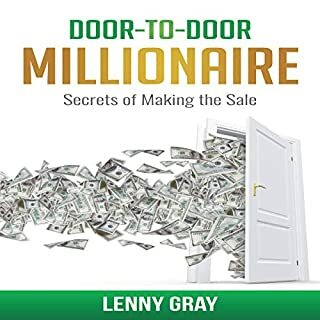 I'm a believer that businesses are the key to changing the world and so this book is now the number one book that should be understood to go out and invest and create businesses. There are only a few books out there in the world that the author truly is an expert in the subject and where the author is handing out information that is relevant and useful. This is one of those few books. 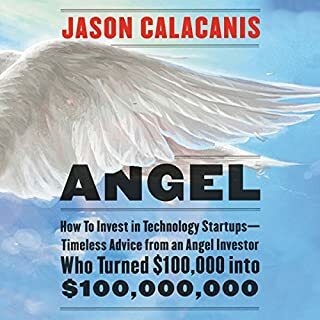 By the end of this book, if you're an investor or an entrepreneur, you'll be wanting to call Jason to thank him for taking his time to share his expertise. I feel like I just got information from a coach which I should have been paying over $100 per hour. So, was the value there? Definitely. Would I recommend this to anyone that wants to create a business or become an angel investor? I would say that, "this book should be mandatory.". A student in business should receive 12 credit hours for being able to demonstrate knowledge of this book. Great job Jason, even though I've never met you, I hope to someday cross paths. Good luck, and we all owe you. It is astonishing how America has been led down a path controlled by others that are more concerned with power than the people. I can see how good people are just trying to survive while innocently going through the motions of life, while more sinister people are getting away with stealing our freedoms away, as we think everything is ok. As this book describes how a movement wants to make fun of those who believe in God. We need to realize that God is the one who will help make us strong enough to remove these terrible people from their power. God will be the real strength in the end and we need to turn to him so he can help us receive the America that God intended it to be. I can see that we shall not fear if we do this. And these people shall not win in the end. The answer is to turn to God. They are afraid that we will that's why they want to destroy the faith of Americans. 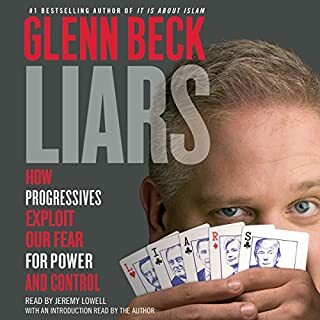 Thank you Glen Beck for writing this book. Sales is hard but knocking door to door deserves respect. I think that the techniques would be appreciated by any type of sales environment to maximize results. What would have made Cultivating an Unshakable Character better? The guy spewed out about 10 false facts at which point I lost all respect for this guy. He is not credible to me anymore. Misquoting and unverified stories are just a few of the irritations I experienced with him. I know that I should grab the overall intention of what he is trying to say, but I just can't listen to his voice or his stories anymore. I'm sorry Jim, I know you are well respected by so many of my other hero's, but I'm done with you. What was most disappointing about Jim Rohn’s story? I honestly couldn't listen past an hour. Could not get past his inaccurate stories and misquotes. 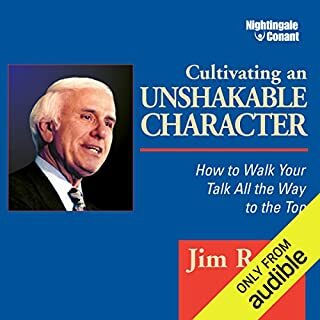 What character would you cut from Cultivating an Unshakable Character? He does not have the most pleasant voice, but this was only a small bit of what I found to be annoying. I suggest you research more. I really wonder if this would be classified as B.S according to Grant Cardon or Jordan Belford. 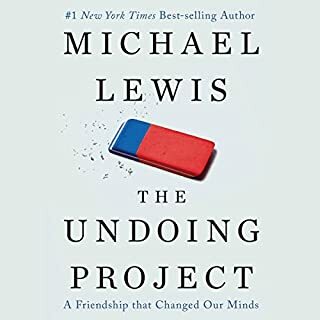 I will admit that the first time I listened to this book I was a little disappointed, but I felt like I didn't grasp everything and I knew that I needed to re-listen. I think it is a must read for anyone in sales or leadership. I realized many flaws of mine and can understand now why I have certain problems? 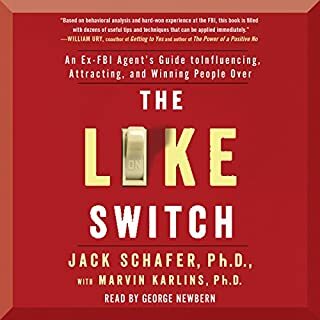 Although, this book relates more to how to turn over a spy, if you listen closely he puts it all there how to be more likeable in sales and less creepy. This is a very enjoyable read and I really don't think someone could be disappointed with this book as a major tool for being likeable either at the bar, the doorstep, or in the family. a story that starts out with good potential to later get dragged through a painful story line. why? i couldn't like the main character. for having a perfect memory he was slow to connect clues. the story narrated repetitive descriptions of crime scenes and clues... in the end the killer had one of the worst motives. i had to force myself to finish the last half of the book. 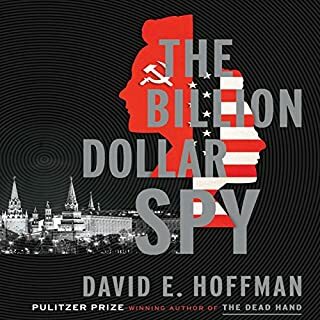 if you are interested to know how spies worked in the 80s this book is up your alley. fascinating and captivating. I never read a book with so much detail and fact that was so interesting. I'll recommend this to anyone. Audie Award, Thriller/Suspense, 2016. 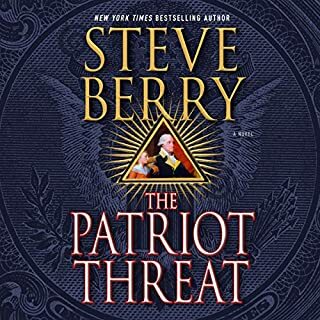 In an innovative new approach, Macmillan Audio and Steve Berry have produced an expanded, annotated writer’s cut audiobook edition of The Patriot Threat. The 16th Amendment to the Constitution legalized federal income tax, but what if there were problems with the 1913 ratification of that amendment? Secrets that call in to question decades of tax collecting. There is a surprising truth to this possibility - a truth wholly entertained by Steve Berry, a top-ten New York Times best-selling writer, in his new thriller, The Patriot Threat. 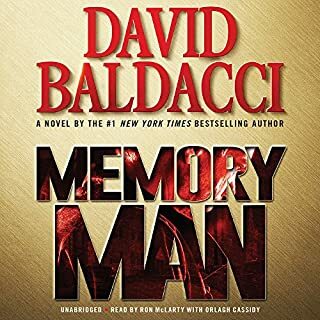 struggled with the narrator because he used the same choice between dialog... very hard to tell who is saying what.This really puts you behind in understanding the story. to make it worse, I couldn't help but roll my eyes because of the story conspiracy to cover up. but it was very educational that many facts were used. I wish the author would have given more insight to his story... it was a good idea, just under utilized. 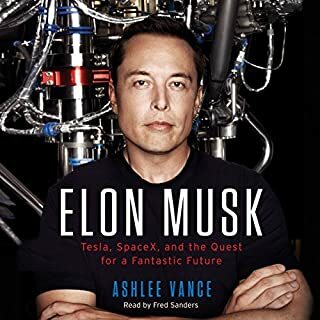 I only wish I could get the chance to work with Elon Musk. truly a hero of the future.